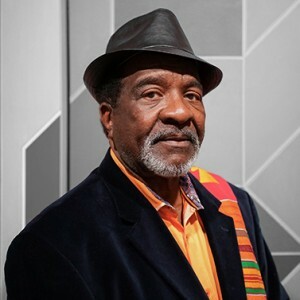 Kresge Arts in Detroit is honored to celebrate musician Wendell Harrison as the 2018 Kresge Eminent Artist. Harrison is known for his high-energy and expressive playing across a range of idioms, as well as his commitment to Detroit’s music community, and his influence on the development and documentation of jazz. Born in Detroit in 1942, Harrison spent substantial time in NY in the 60s, before returning to his hometown in 1970. Over the course of a career of prolific accomplishments, he has worked with a wide range of notable musicians, among them Grant Green, Lou Rawls, Sun Ra, Eddie Harris, James Carter, and Carl Craig. In 1972, Harrison and trombonist Phil Randelin co-founded Tribe, a collective that produced jazz recordings and concerts. Tribe also published a magazine that explored topics including economic injustice, school busing, abortion, and police brutality. Harrison has made more than 20 recordings as a bandleader and appears on dozens more. In 1993, he was named a Jazz Master by Arts Midwest, and in the mid-90s he toured internationally with the Michigan Jazz Masters. Harrison continues as a leader on his own label, Wenha Records, and has taught in Detroit high schools for the past 10 years. He is in the process of co-authoring “The Fundamentals of Marketing and Promotion for the 21st Century Musician,” which is due for publication later this year. Harrison is the 10th artist to receive the Kresge Eminent Artist Award, joining a group of individuals who each exhibit a lifetime of exceptional creative work and professional achievement, unmistakable impact on their art form, generously sharing their talent and expertise, and critical contributions to the vibrancy of Detroit’s cultural environment. The Kresge Eminent Artist Award, administered for The Kresge Foundation by the Kresge Arts in Detroit office of the College for Creative Studies, includes a $50,000 no-strings-attached prize. We extend our sincere appreciation to the Kresge Arts in Detroit Advisory Council for their work selecting the 2018 Kresge Eminent Artist.